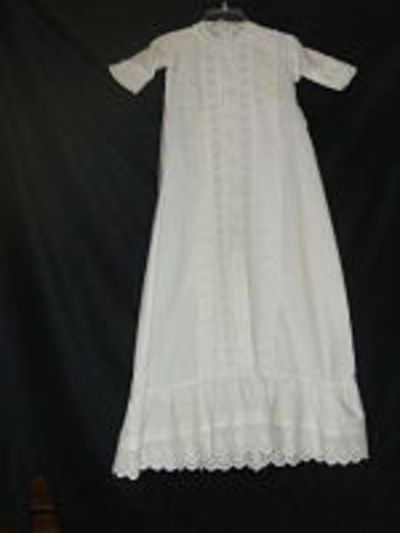 This adorable gown has a front panel of double rows of eyelet lace which extends to the eyelet ruffle on the bottom. Gown measures 34 inches from shoulder to hem, 7 inch sleeves and 20 inches around the chest. The attached sash is reminescent of the English style.